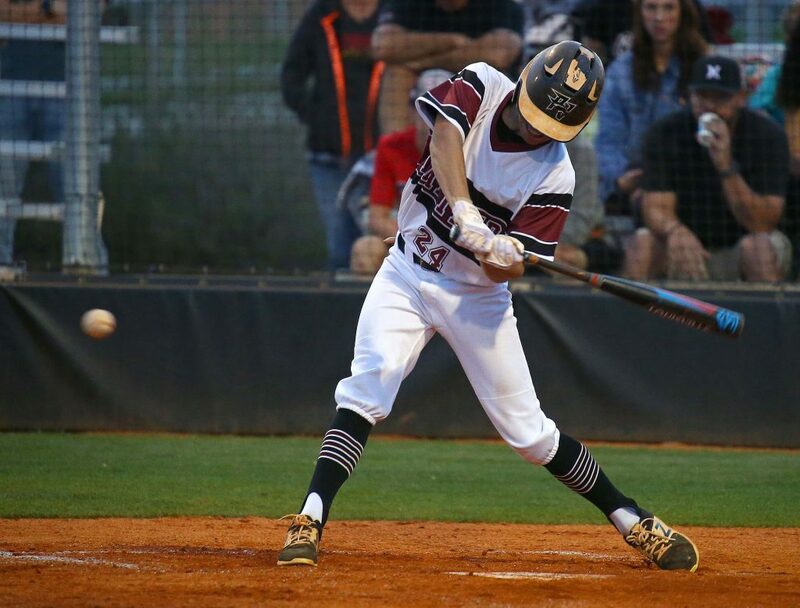 ST. GEORGE – Pitching was front-and-center Tuesday night as Pine View, Dixie and Desert Hills each dominated in their own way in Region 9 baseball. To say Tanner Staheli exceeded expectations Tuesday night is an understatement. The Panther coaches were hoping to get three good innings out of the senior, who has been nursing a sore arm. With a little luck, the coaches hoped he could keep Pine View in the game against Cedar ace Bridger Bunnell. What the Panthers got, however, was darn near perfection. Staheli hurled seven untouchable innings against the Redmen, allowing no hits and just two base runners the entire contest. The two men who reached were hit by Staheli pitches, while Pine View’s defense was flawless. Staheli struck out 14 of the 22 batters he faced using a combination of a two-seam fastball, a four-seam fastball, a sharp slider and a hit-and-miss curve. As the game progressed, Staheli seemed to be getting stronger and his fastball seemed to be getting faster. But the senior right-hander wasn’t sure he even had a no hitter going until late in the game. Staheli hit Chase Houston in the top of the first and then plunked Markus Johnson to start the second inning. Little did anyone know that that would be it for Cedar. Staheli then retired the next 18 batters in a row. At one point, he struck out seven straight Redmen. 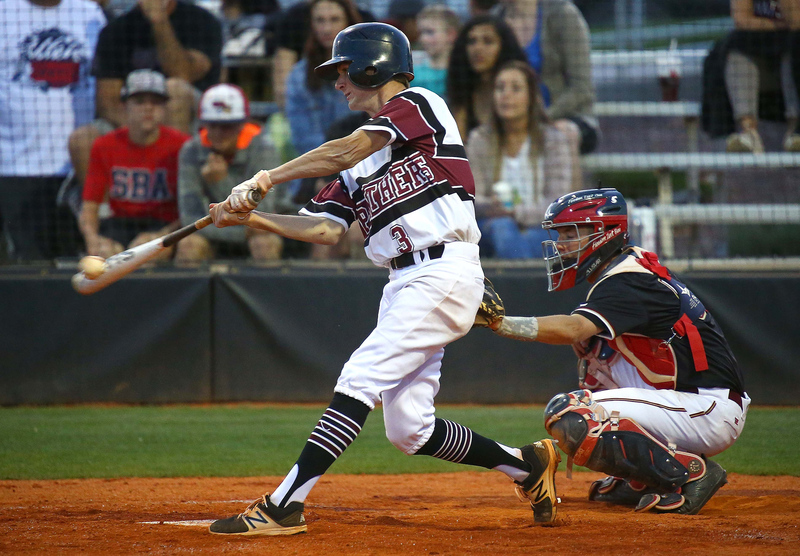 Pine View scored four runs in the bottom of the first, so the game was never really in question. 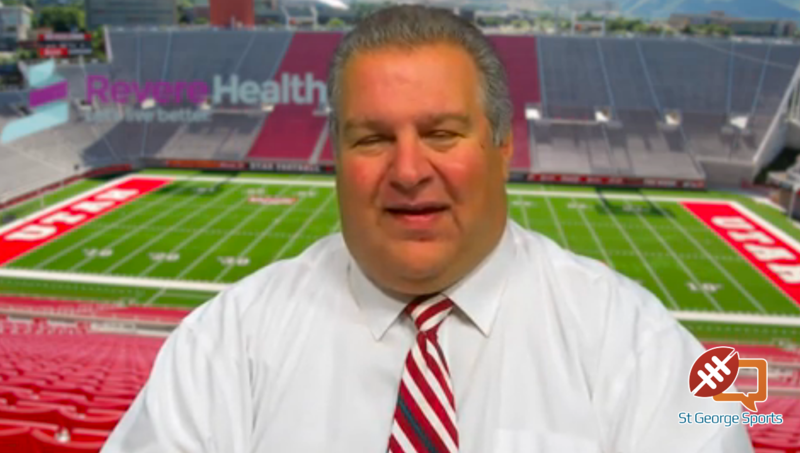 In fact, the biggest suspense was whether or not the Redmen would get a hit in the game. And they almost did. 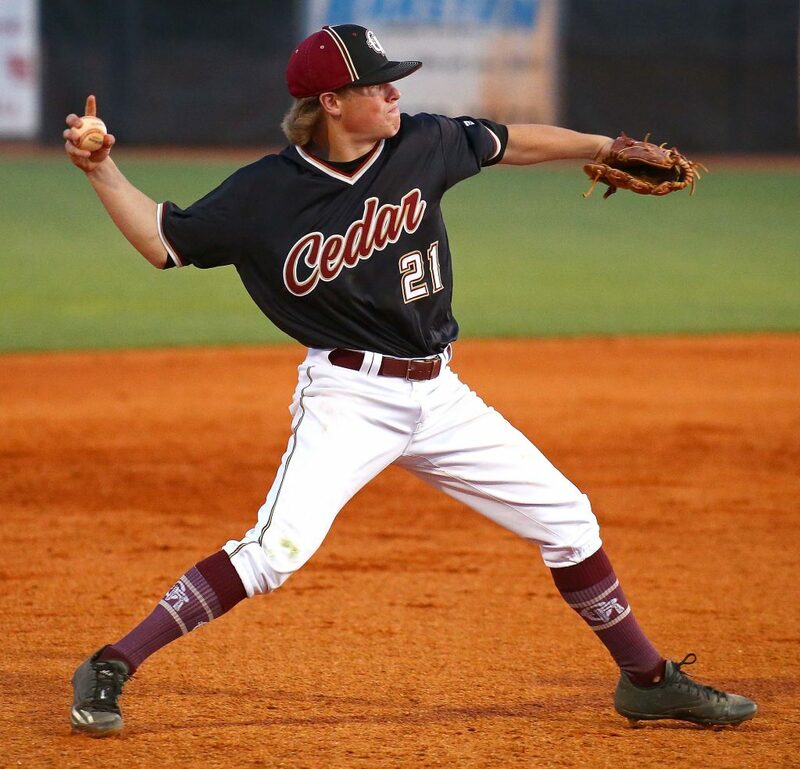 With the score 5-0, Cedar came to the plate in the top of the seventh having struck out seven straight times. On a 3-1 count, Korby Myers caught up with one of those four-seamers and drove it deep into the night toward the right field fence. 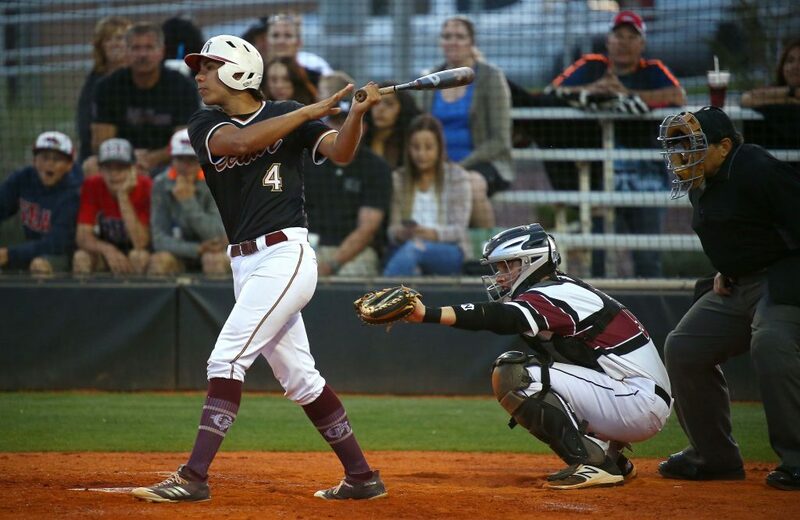 Pine View right fielder Jaiger Crosby retreated until he almost ran out of real estate. With his back against the wall and his cleats crunching warning track gravel, Crosby made the catch. Staheli then struck out the next two batters swinging to end the game. 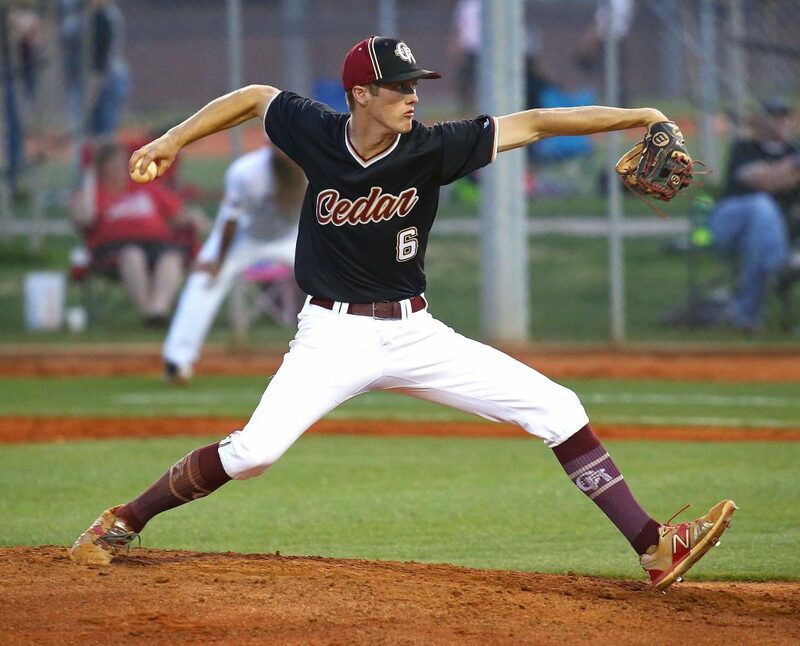 Staheli said his coaches had told him they wanted him to go at least three innings, but he was feeling good all game and they would have had to drag him out of the game. A rally in the first inning, including a home run by Staheli, may have been the key. Almost all the scoring in the game came in that first inning. Roman Lafemina led off by beating out a bobbled ball by the Cedar third baseman. Staheli then strolled to the plate and hit a Bunnell fastball well over the left field fence. After a bloop single by Cody Riddle, Dawson Staheli nearly matched his cousin with a deep ball to left. But Dawson’s shot caromed off the fence for a double to put runners on second and third still with no outs. The next batter, Luke Green, singled up the middle to score both runners and make it 4-0. Bunnell got out of the inning with no more damage done, but the big lead was more than enough for Staheli. 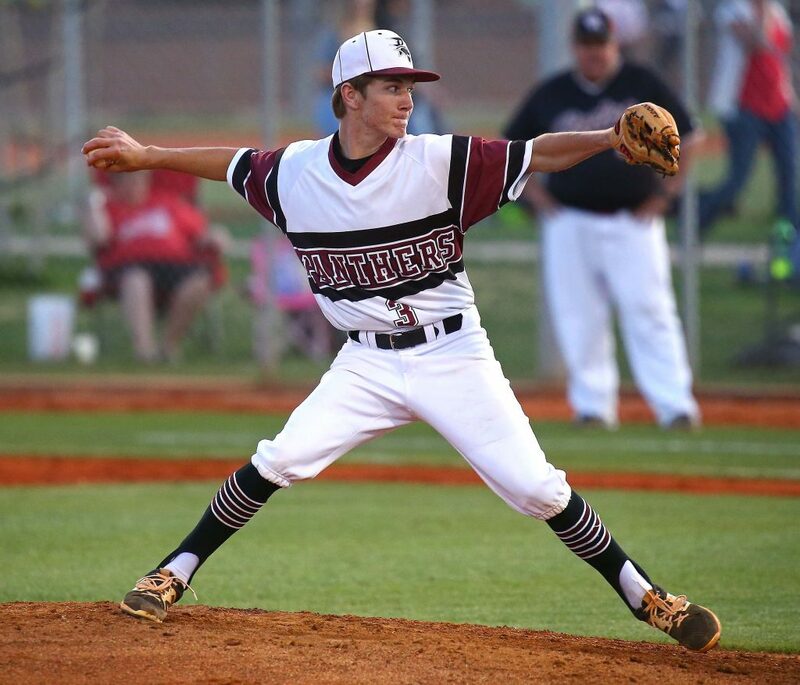 The Panthers, 10-3 overall and 3-2 in region play, added an insurance run in the bottom of the sixth on Cedar’s third defensive error. Riddle led the offensive attack for the Panthers. 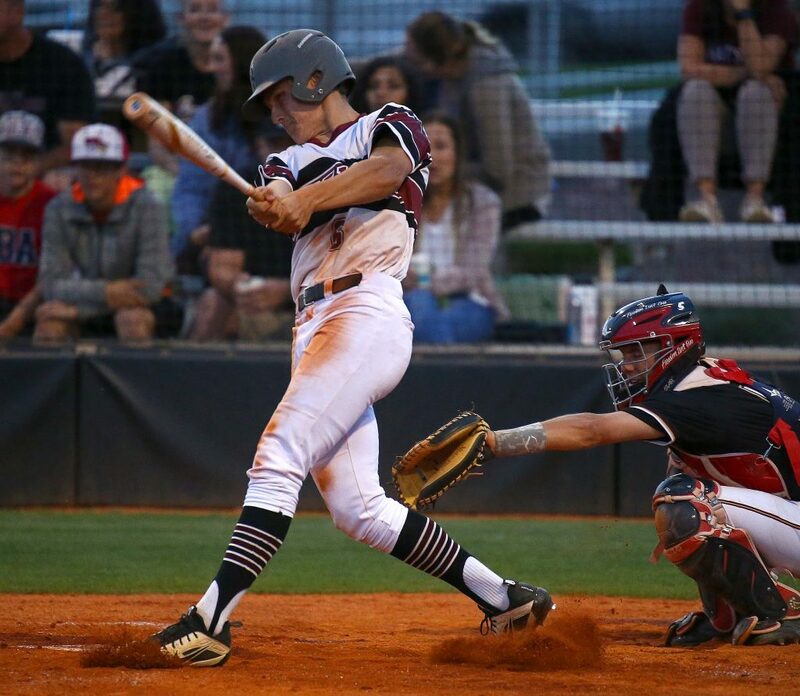 He celebrated his 18th birthday by going 4 for 4, accounting for half of Pine View’s hits in the game. Staheli threw 101 pitches, 64 of those for strikes. The two teams went into the night with .500 region records and will meet again Friday afternoon (4 p.m.) in Cedar City. Bunnell allowed eight hits and three earned runs for the Redmen, who are 8-8 overall and 3-4 in region. Mercy rule, right? Big-time blowout, right? Well, no, and only sort of. The Flyers had their hands full with the Falcons in an afternoon tilt in north Cedar City. It was a 2-0 game until the sixth as Canyon View hurler Joey Lambeth kept his team in the game by scattering seven hits over the first five frames. But Dixie eventually got to Lambeth and Flyer pitchers Cooper Vest and Kayler Yates combined to allow just two hits and one walk in the game. Yates started the scoring with a solo home run in the top of the second inning. It went to 2-0 in the top of the fourth when Yates and Reggie Graff hit back-to-back two-out doubles. The Flyers broke through with two more in the top of the sixth. Payden Harrah and Yates singled to put two men on. With one out, Blake Oaks ripped a double to left field to score both of his teammates and make it 4-0. In the seventh, Dixie started with four straight singles by Tyson Miller, Tyson Fisher, Wyatt Woodland and Harrah. Harrah’s single brought home Miller and Fisher and made it 6-0. One out later, Graff hit his second double of the game and scored Woodland and Harrah to make it 8-0. Oaks then soared a 1-0 pitch off Falcons reliever Max Raddatz over the left field fence to complete the scoring. Vest, meanwhile, allowed just one single in the first inning before mowing down the Falcons to the tune of 11 strikeouts and one walk. Yates pitched the seventh, striking out the side around one Canyon View hit. Yates finished 3 for 4 with four runs scored. Graff and Oaks had two hits each and combined for seven RBIs. 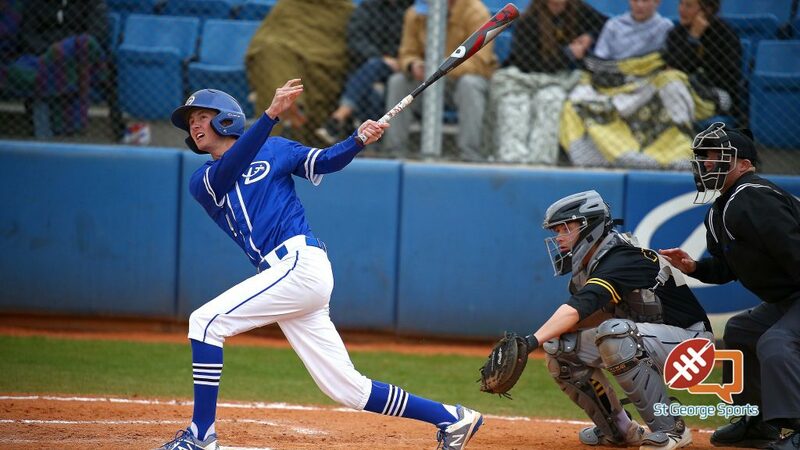 Dixie, 16-2 overall and 5-0 in region, had 17 hits in the game, seven of those for extra bases. Canyon View, 5-11 and 0-7, had just four base runners in the game. The two teams meet again Friday at 7:30 p.m. at Flyer field in a game that will be broadcast on 890-AM KDXU. Blake Milne allowed just two hits and one unearned run in six innings of work, though things got a little dicey in the fifth inning. Leading just 3-0, Milne gave up a leadoff double to Kage Akipoleka and a single to Rylee Kent. When Kyle Stevenson was hit by a pitch with a 2-2 count, the Tigers had the bases loaded with nobody out. But Milne bore down and struck out three straight batters. A run did come home on a wild pitch during the sequence, but the Thunder emerged from the half-inning with a 3-1 lead. D-Hills then scored six runs in the bottom of the fifth to put the game away. The Thunder’s early lead came via a three-run rally in the bottom of the first. Bronson Andrus brought home the first two with a sharp single to center that scored Bo Barben and Drew Thorpe. Mason Creager had an RBI groundout to cap the rally and make it 3-0. After Hurricane scored a run in the top of the fifth, DH came out on fire in the bottom half. Sam Rhoton followed a walk and a single with a two-run triple to make it 5-1. Rhoton scored on a wild pitch to make it 6-1, then Creager singled home two more later in the inning to make it 8-1. A sacrifice fly by Brigham Gardner brought home the ninth run. 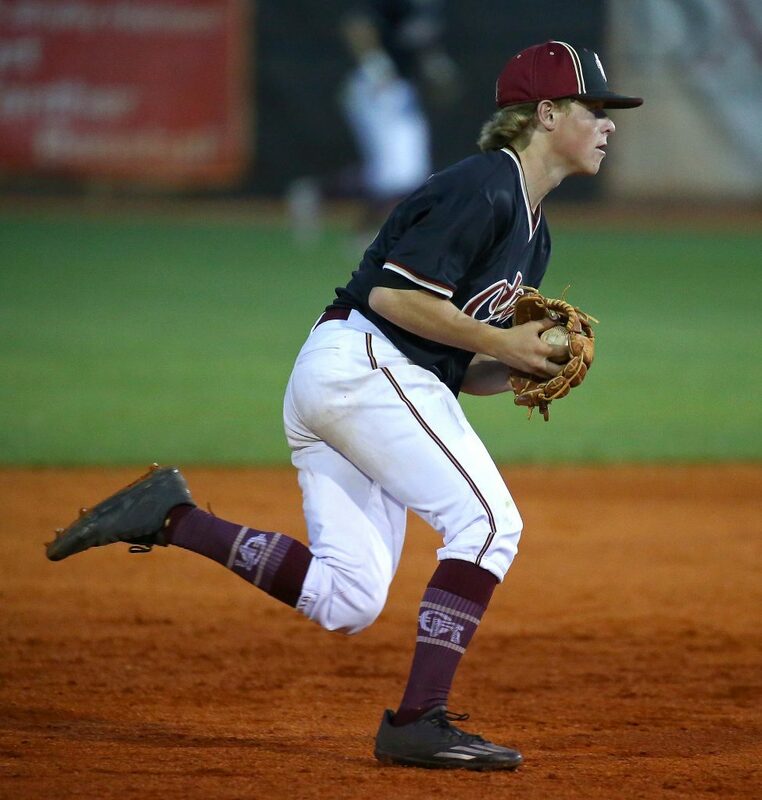 Korbin Burch had an RBI walk in the top of the seventh for Hurricane, but Barben came on to get the final two outs and close out the victory for Desert Hills. 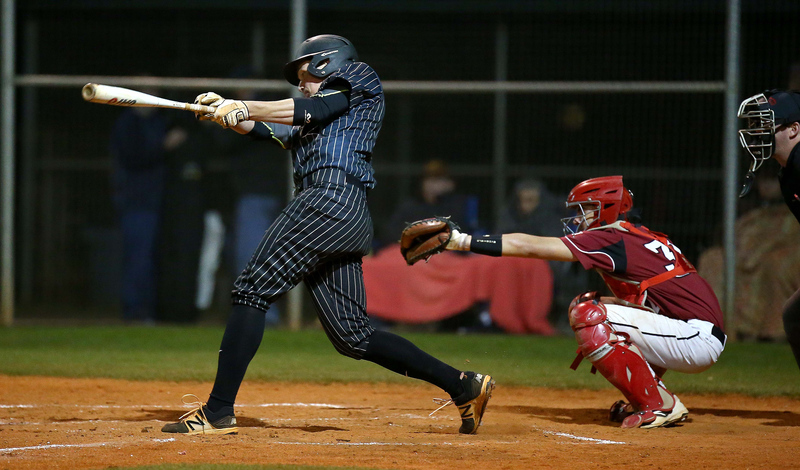 The Thunder, 11-4 overall and 4-3 in region play, had seven hits and five walks in the game. Creager had three RBIs and Andrus and Rhoton had two each. Thorpe and Barben scored two runs each. 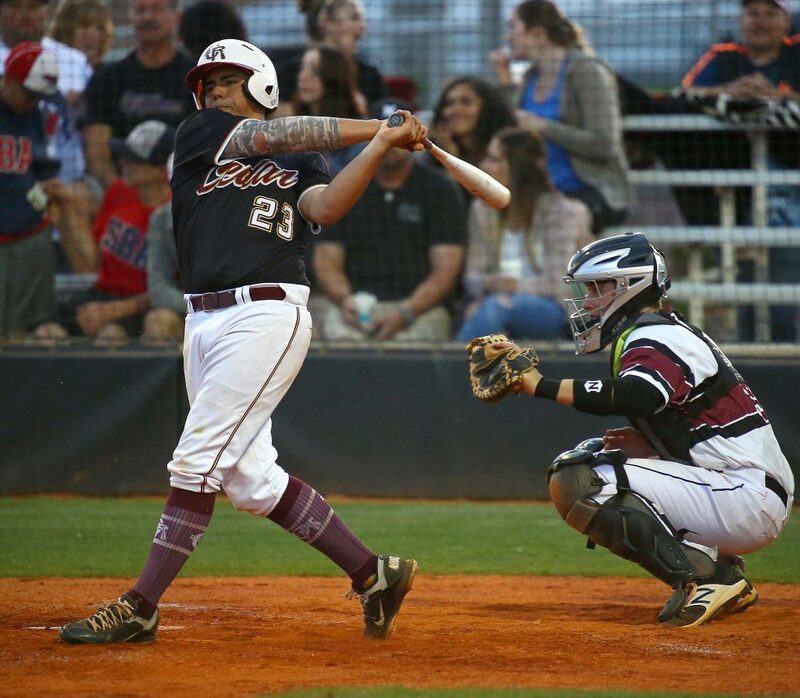 For Hurricane, Akipoleka doubled and walked and Zane McKeehan had a pinch-hit single. The Tigers fall to 7-9 overall and 0-5 in region. The two teams meet again Friday in Hurricane with game time at 7:30 p.m.
Pine View at Cedar, 4 p.m.
Canyon View at Dixie, 7:30 p.m.
Desert Hills at Hurricane, 7:30 p.m.